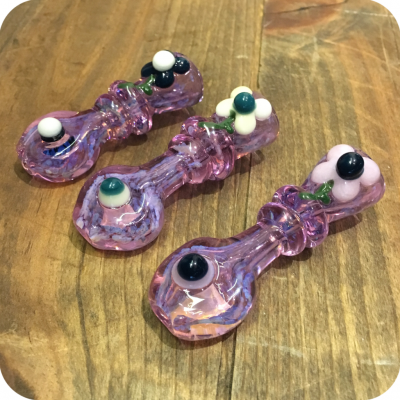 Check out this incredible Purple Flower Chillum made by the Michigan based Multiverse Glass Company! 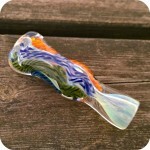 A beautiful American-made chillum with popping colors that is sure to get some envious looks. At about three inches long, it’s the perfect travel pipe as well as a stay at home pipe. 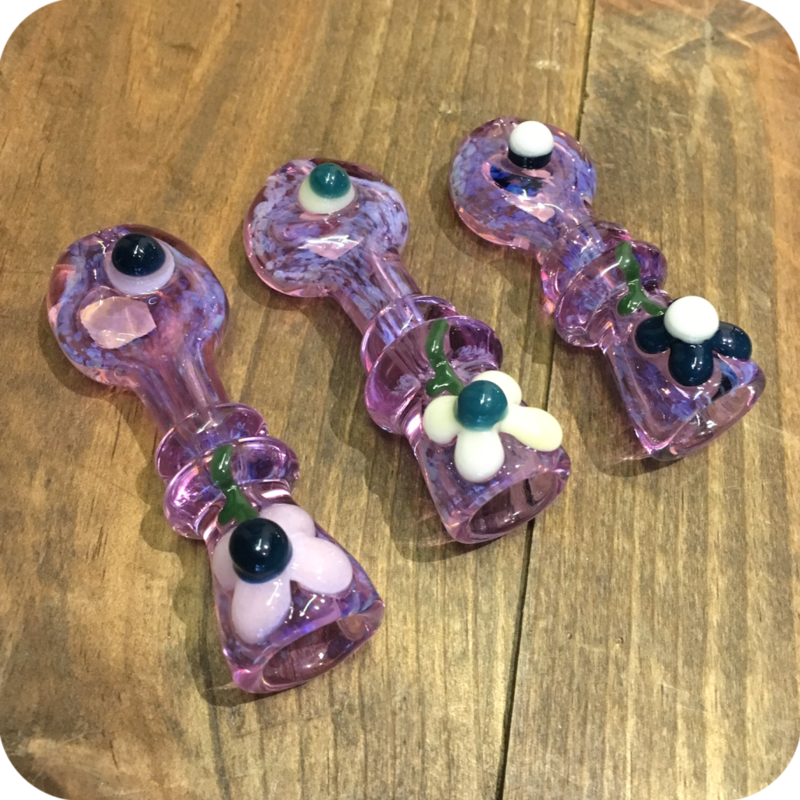 The straight and simple shape of this chillum allows for very easy cleaning. Keep it clean and maintained by running a pipe cleaner through either end or soak it in your favorite glass-cleaning solution. By regularly cleaning your piece, it ensures it will hit just like new and be a lifetime smoke session buddy. A clean pipe is a happy pipe! 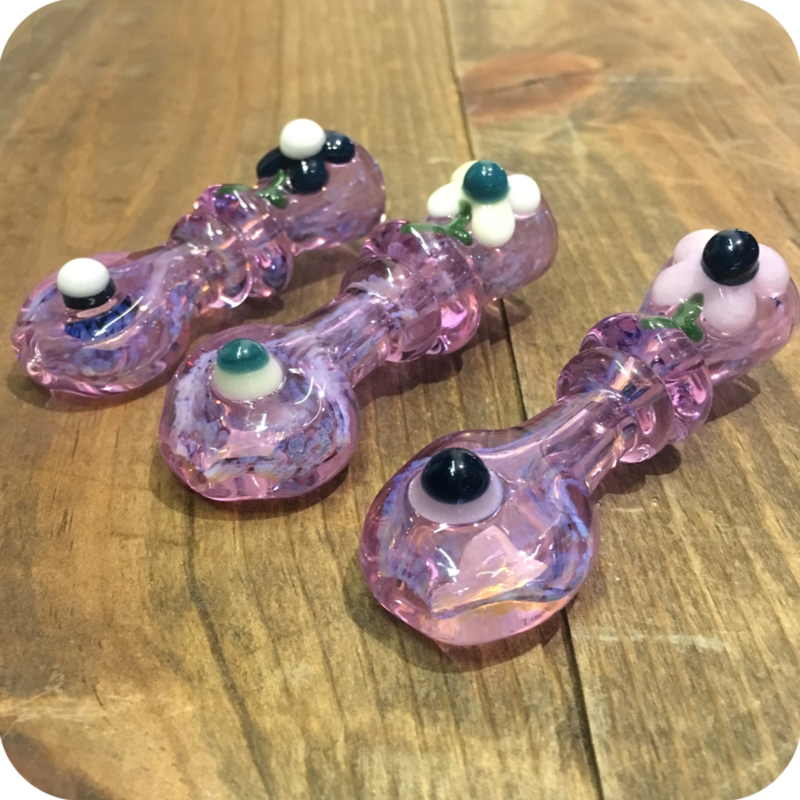 This pipe is as adorable as it is functional. Chillums are known for their hands-free smoking capabilities. Since they aren’t in a spoon shape like other pipes, you don’t need the other hand to hold the bowl while you light your material. This also means you wont ever burn your thumb trying to get the flame to go sideways. 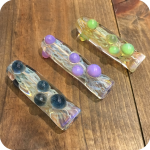 Just load up your chillum, hold it between your lips, and light it up. The best part is, when you’ve smoked your herb all the way through, you can simply blow it out of the end. No more accidentally blowing ash into your own face! The iridescence of this piece adds to its uniqueness. The glass almost glows in the light with a beautiful pinkish-purple aura. The decorative flower adornment will remind the user of the delicate care and craftsmanship put into creating this piece. 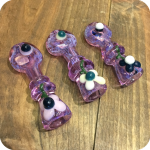 This chillum is a great gift for that special someone in your life with impeccable taste. Or gift it to yourself instead! You deserve a nice new piece. Tags: Brooklyn, brooklyn glass, brooklyn smokeshop, bushwick glass, bushwick smokeshop, chillum, flower pipe, glass chillum, glass pipe, multiverse glass, multiverse glass company, nyc headshop, nyc smokeshop, pipe, purple flower pipe, purple pipe, sunflower glass, williamsburg glass, williamsburg smokeshop.